[LIKE, COMMENT, AND WIN] Shape, Color, and Style with One Expert Tool! Our BEST SELLER Brow Artist Designer Pro 3-IN-1 is now available in 5 shades: Dark Brown, Light Brown, Burgundy Brown, Caramel Amber, and Grey. Be spoilt for choices in matching your hair color to your brow color! Want to win one for yourself? Simply like and tell us which shade your favourite shade is, and why! Three lucky winners will walk away with their favourite Brow Artist Designer Pro 3-in-1. Contest ends 14 July. 2359. Brow Artist Designer Pro 3-in-1 is available at $21.90 at all L’Oreal Makeup Designer Counters islandwide. – Winners need to produce a valid NRIC that matches his/her Facebook profile identity upon the collection of prizes. Failure to do so will result in withdrawal of prize collection. – L’Oreal Singapore reserves the right to substitute the participant when he/she is not contactable. No correspondence will be entertained. – By joining this contest, you are agreeing to have your personal data collected, used, disclosed and/or processed by L’Oreal Singapore. – L’Oreal Singapore reserves the right to substitute prizes where necessary. 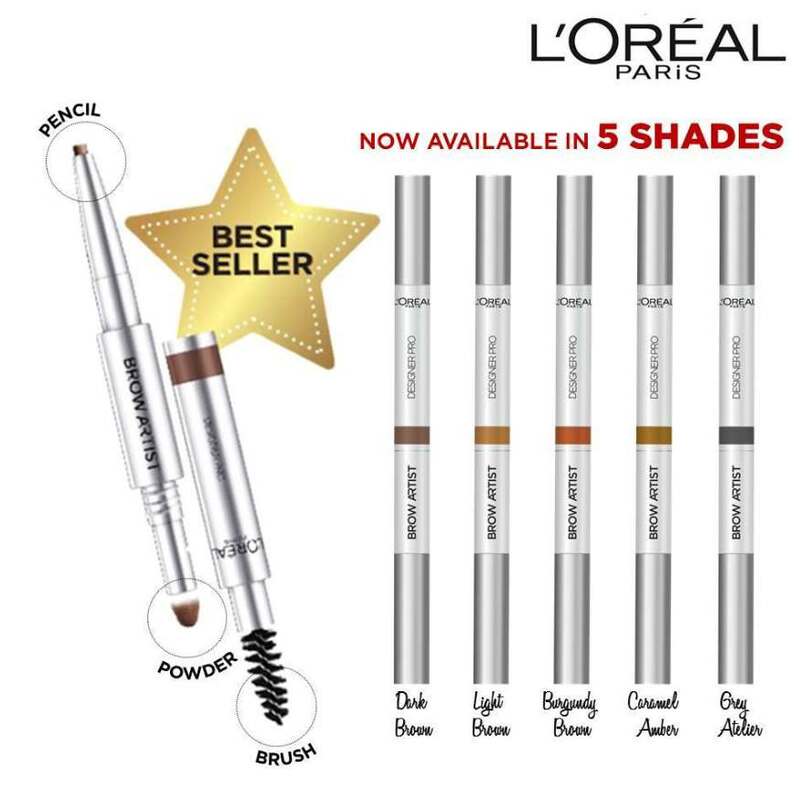 Find out more at L’Oréal Paris Singapore.